Only two members of the subspecies are now left alive. 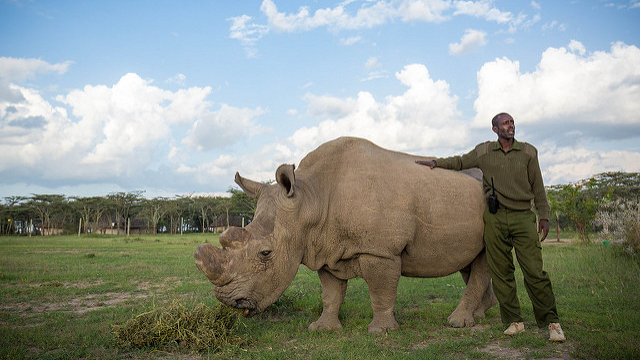 Sudan with a handler in 2015FLICKR, MAKE IT KENYA/STUART PRICESudan, the last remaining northern white rhino to have been born in the wild, was euthanized yesterday (March 19) after his health deteriorated, Kenya’s Ol Pejeta Conservancy announced today. 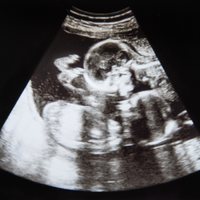 Only two members of the subspecies remain, Sudan’s daughter and granddaughter. 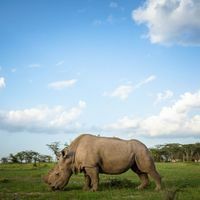 Most northern white rhinos were wiped out by poaching in the 1970s and ’80s, according to the conservancy’s statement, and by 2008 the subspecies was considered extinct in the wild. The Associated Press notes that Sudan took his name from the country where he was born; he was captured as a calf and kept in a Czech zoo until 2009, when he and other remaining members of the species were transferred to the Kenyan conservancy. He was 45 when he died, and caretakers made the decision to euthanize him because he was in pain and unable to stand. Scientists have harvested Sudan’s sperm, and that of other male white rhinos, prior to their deaths, NPR explains. 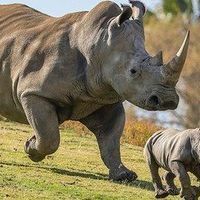 Neither of the living females is capable of reproducing, but researchers hope to use their eggs to create embryos that could be implanted into southern white rhino females, which would act as surrogate mothers. Correction (March 21): The original version of this article erroneously stated that the northern white rhino is a species; it has been corrected to reflect the fact that it is a subspecies. The Scientist regrets the error.